To truly make an impact on Brisbane’s ever-increasing need for affordable housing, we need urgent action, writes BHC CEO Stuart Lummis. A snapshot released last week of the levels of homelessness across Australia painted a damning picture of how Brisbane is unable to put a roof over the heads of thousands of its residents. Launch Housing’s Australian Homelessness Monitor 2018 revealed homelessness in Queensland’s capital had increased 32 per cent since 2011. This was the third highest rise in the country and far and above the city’s population growth of 13.3 per cent. As alarming as these statistics are, without action the future is likely much bleaker. When combined with the latest Rental Affordability Index (RAI) findings (released by National Shelter on Wednesday), we see there are also thousands currently in the private rental market on the precipice of homelessness and highly likely to join those living rough within the next decade. Among those most at risk are single women in their 50s and 60s; many of whom devoted their lives raising children with no paid work, or were employed but suffered from a gender pay gap even worse than it is now. The RAI revealed that Brisbane rents are already extremely unaffordable for single aged-pensioners, who need to forgo around 65 per cent of their income for a single bedroom dwelling. If this is the case now, what hope is there for the next generation of retirees as a lack of superannuation and the increased healthcare costs associated with aging take their toll? But facing the greatest challenge in finding affordable accommodation in Brisbane are singles on government benefits. For this cohort, renting independently isn’t even an option. Their income is unable to cover even a one-bedroom home. With the links between stable and sustainable accommodation and employment well-proven, a descent into homelessness would likely kickstart a cycle of living rough which many would never escape. Measures do exist though that can help prevent tipping these vulnerable groups into homelessness. Better matching of social housing tenants’ to the homes they occupy is essential. For example, supporting seniors who no longer want or need their large social housing properties to move into new accommodation. This not only provides older people with the ability to age in place but, in turn, frees up three and four-bedroom homes either for families on the government’s waitlist, or to be redeveloped into more modern and efficient affordable homes. With support from the state government, BHC built the award-winning, 57-unit Caggara House at Mt Gravatt for just this purpose. A similar project is currently under development in Springwood that will provide 35 more homes for seniors wishing to downsize to accessible, purpose-built housing that better meets their needs. Making surplus or underutilised government land available for development into affordable housing is another measure that has proven successful. Developments designed to be affordable for low-income households are not typically financially viable without some level of subsidy. With charitable affordable housing providers unable to compete with private developers in bidding for government land, gifting land is a cost-effective and efficient approach. With government-gifted land, BHC was able to develop the $13 million, 60-unit Spectrum Apartments at Lutwyche, which combines affordable housing for people with disabilities and low-income earners with private and commercial rentals. As the Launch Housing report states, homelessness and housing stress experienced by lower-income households is not an inevitable fact of life in Australia. It is a result of policy and investment decisions made by governments over time. There are solutions, but to truly make an impact on the city’s ever-increasing need for affordable housing, we need urgent action to expand and roll out initiatives like these faster. Only then will we avoid an already dire situation becoming much, much worse. 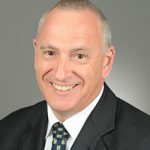 About the author: Stuart Lummis is the chief executive officer with BHC, a leading provider of affordable housing with a demonstrated ability to deliver innovative provision of social and affordable housing. Stuart has 36 years of experience as a senior executive in ASX-listed groups, government agencies and not-for-profit organisations. Prior to working for BHC, Stuart was the director of building, planning facilities and property with the Roman Catholic Archdiocese of Brisbane, where he was directly responsible for the management of the Archdiocese of Brisbane’s complex property portfolio, compromising in excess of 450 individual diverse properties. Stuart Lummis is the chief executive officer with BHC.